Celebrate St Blane’s Day on Saturday 10th August by finding out more about the history of Dunblane. 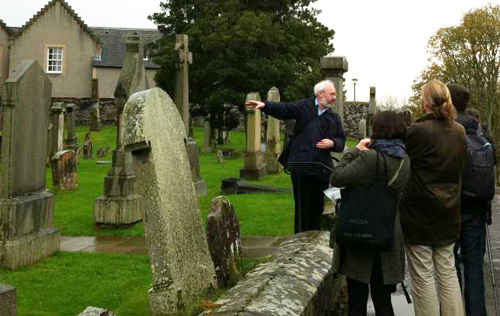 Join two Dunblane historians and their friends for an afternoon walk followed by tea hosted by St Blane’s Church. Local historian Bill Inglis will be leading a walk around the Cathedral Square and up to Holmehill. Dauvit Broun, professor of Scottish History at Glasgow University, will be exploring the inside of the Cathedral. Both walks will start at the main entrance to the Cathedral at 2 p.m. Tea will be served at St Blane’s Church Hall at 3 p.m. All are welcome to this free event which is organized by the Dunblane Council of Churches.